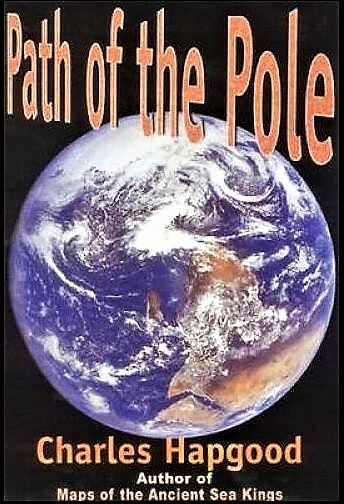 Charles Hapgood advocated the Earth crust displacement theory in a book entitled The Path of the Poles. Hapgood supported this theory with geomagnetic and carbon dated evidence. In a book entitled When the Sky Fell, Rose and Rand Flem-Ath also advocate the Earth crust displacement theory, with additional geological and archaeological evidence. Both of these works conclude that the North Pole was located in the Yukon, at 63° N 135° W, approximately 80,000 to 100,000 years ago. This is about 250 miles Northeast of the axis point for the line of ancient sites at 59° 42′ N 139° 17′ W. It is interesting to note that some of the heaviest remaining glaciations in all of North America is on the Southeastern coast of Alaska, surrounding Yakutat. There is a profound connection between Nazca and Angkor Wat. 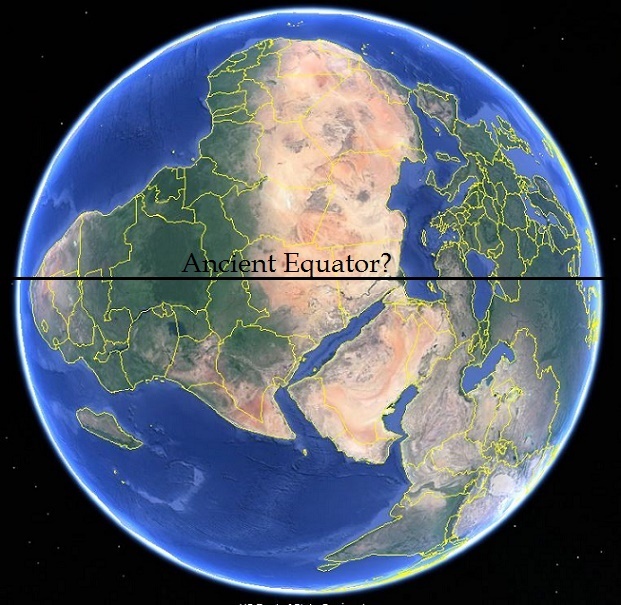 Were these two ancient sites on the old equator at opposite ends of the earth? Other sites on this proposed old equatorial line might hold the answer. Charles Hutchins Hapgood was an American college professor and author who became one of the best known advocates of the claim of a rapid and recent pole shift with catastrophic results. Hapgood received a master’s degree from Harvard University in 1929 in medieval and modern History. His Ph.D. work on the French Revolution was interrupted by the Great Depression. He taught for a year in Vermont and directed a community center in Provincetown, also serving as the executive secretary of Franklin Roosevelt‘s Crafts Commission. During World War II, Hapgood was employed by the Center of Information (which later became the Office of Strategic Services and then the Central Intelligence Agency) and the Red Cross, and also served as a liaison officer between the White House and the Office of the Secretary of the War. After the war, Hapgood taught at Keystone College (1945–1947), Springfield College (1947–1952), Keene State College (1956–1966), and New England College (1966–1967), lecturing in world and American history, anthropology, economics, and the history of science. Hapgood married Tamsin Hughes in 1941 but divorced in 1955. He was struck by a car in Greenfield, Massachusetts, and died on December 21, 1982. While at Springfield College, a student’s question about the Lost Continent of Mu prompted a class project to investigate the lost continent of Atlantis, leading Hapgood to investigate possible ways that massive earth changes could occur and exposing him to the literature of Hugh Auchincloss Brown. In Maps of the Ancient Sea Kings he supported the suggestion made by Arlington Mallery that a part of the Piri Reis Map was a depiction of the area of Antarctica known as Queen Maud Land. He used this to propose that a 15 degree pole shift occurred around 9,600 BCE (approx. 11,600 years ago) and that a part of the Antarctic was ice-free at that time, and that an ice-age civilization could have mapped the coast. He concludes that “Antarctica was mapped when these parts were free of ice”, taking that view that an Antarctic warm period coincided with the last ice age in the Northern hemisphere, and that the Piri Reis and other maps were based on “ancient” maps derived from ice-age originals. Later research concerning the paleoclimatology and ice sheets of Antarctica have completely discredited the interpretations by Hapgood that an Antarctic warm period coincided with the last glacial period in the Northern hemisphere and any part of it had been ice-free at and prior to 9,600 BCE (approx. 11,600 years ago). Hapgood also examined a 1531 map by French mathematician and cartographer Oronce Finé (aka Oronteus Finaeus). In Maps of the Ancient Sea Kings, he reproduces letters that he states he received from the chief of a U.S. Air Force cartography section stationed at Westover AFB in 1961. These letters say that at Hapgood’s request, they had studied both Piri Reis and Oronce Finé maps during their off-duty hours, concluding that both were compiled from original source maps of Antarctica at a time when it was relatively free of ice, supporting Hapgood’s findings. Hapgood concluded that advanced cartographic knowledge appears on the Piri Reis map and the Oronteus Finaeus map, and must be the result of some unknown ancient civilization that developed advanced scientific knowledge before other civilizations such as Greece. Hapgood’s unorthodox interpretations such as “Earth Crustal Displacement” were never accepted as valid competing scientific hypotheses, yet his ideas have found popularity in alternative circles. Librarians Rose and Rand Flem-Ath as well as author and former journalist Graham Hancock base portions of their works on Hapgood’s evidence for catastrophe at the end of the Last Glacial Maximum. Hapgood’s ideas also figure prominently in the 2009 sci-fi/disaster movie 2012.